A study trip to medieval Paris, to the Paris of the nineteenth century reform, to Versailles, the Renaissance dream of Louis XIV, and to the Renaissance castles of the Loire Valley. Day 2. Thursday, August 22. Medieval Paris. Day 3. Friday, August 23. The modern Paris (19th century). Day 4. Saturday August 24. Versailles. Days 5 to 7. Sunday 25 to Tuesday 27 of August. Castles of the Loire. Arrival in Paris on behalf of travelers. Reception at the hotel at 3:00 pm, time from which you can check-in. We will take advantage of the afternoon to take a walk and make a visit to the Sacre Coeur, the Mount of Mercury and the protective heroes of Paris: Joan of Arc. View of the sunset from Montmartre. Free time to dine in Montmartre. Return to the hotel and lodging. Breakfast at the hotel. Today we will spend all day walking around Paris, visiting the most emblematic places of the medieval era. We will visit the Latin Quarter. Visit Notre Dame to talk about alchemy and gothic cathedrals. Visit to Saint Chapelle, famous for its extraordinary stained glass windows. Visit to the place where the last Grand Master of the Order of the Temple was sacrificed. Visit to the Cluny Museum, where the original statues of Notre Dame are preserved, and the alchemical tapestries of the Lady and the Unicorn. Free time to eat. Visit to the Basilica of Saint Denis, where the Gothic was born. We will finish the day touring the Marais, a neighborhood where the Templar order was. Return to the hotel and lodging. Breakfast at the hotel. Today we will delve into the sacred Geography of Paris. Throughout the day, we will visit the Paris of the nineteenth-century transformations of Baron Haussman. Free time to eat. Following the sacred axis of Paris, we will visit the Jardin des Tuilleries, the Place de la Concorde and the Champs Elysees to the Arc de Triomphe, to complete the visit of this area of Paris of the 19th century. Return to the hotel and lodging. Breakfast at the hotel. 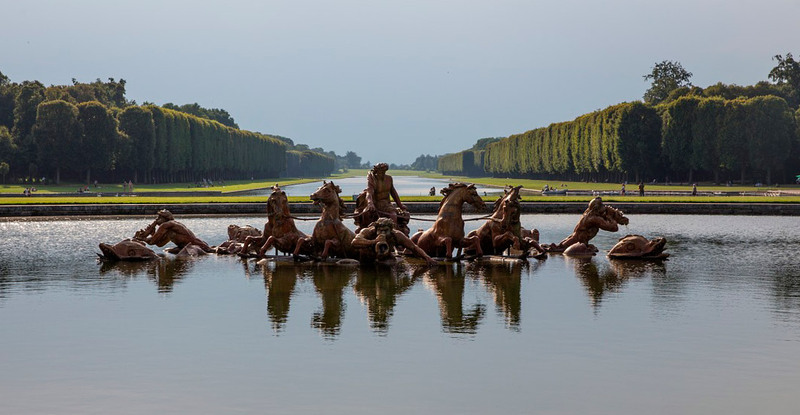 Transfer to Versailles and visit the Palace of Versailles, including the Water Games in the fountains of its famous gardens. Arrival at the hotel and accommodation in Versailles. Breakfast at the hotel. Visit to the Chantilly domain where there are a series of stained glass windows dedicated to the myth of Eros and Psyche. 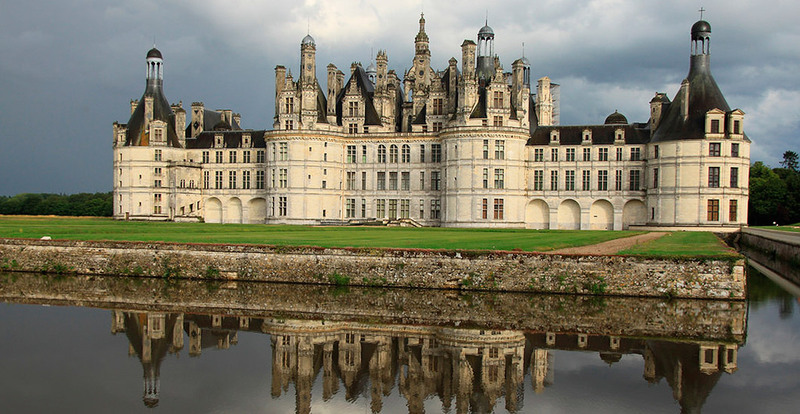 Transfer to the Loire Valley, the heart of the Renaissance in France. During this day and the next two, we will tour the valley with visits included to some of its main Renaissance castles: Chambord, the Palace of Francisco I; Chenanceau, possibly the most beautiful of the palaces of the valley, suspended over the water; Castle of Blois; Casa Clos de Lucé and tomb of Leonardo da Vinci; among others. Accommodation in Blois. Breakfast at the hotel. Return to Paris and departure of the participants. End of trip and our services. 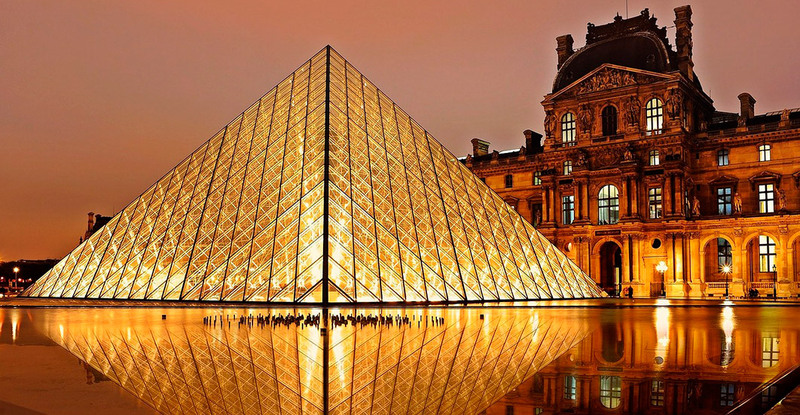 3 nights of accommodation in Paris in a 3-star hotel in downtown, in bed and breakfast. 1 night accommodation in Versailles in 3-star hotel downtown, in bed and breakfast. 3 hotel nights in Blois (Loire Valley) in a 3-star hotel, centrally located, in bed and breakfast. Metro tickets, public transport buses and tickets to the monuments and museums in Paris described as a visit. Entrance to Versailles, including the Water Games. Tickets to the places described in the Loire Valley as a visit. Optional cancellation insurance: € 35.00 (Optional insurance coverage here). Single room supplement: € 390.00. Extra nights in Paris: € 60.00 per person in a double room. The meeting place is the designated hotel in Paris (it will be communicated at the time of booking). In Paris, the metro and public transport buses will be used. The tickets are included in the price. Land transfers from Paris to Versailles and the Loire Valley are not included in the price. They will be organized in private cars to reduce costs. Reservation requests can be sent to any of these email addresses: juanadrada@larutadelascivilizaciones.com or harrycostin@yahoo.com, indicating the full name, as it appears in the passport, nationality, passport number, email and telephone contact. Calling by phone or WhatsApp to the trip coordinator Harry Costin, to the telephone number of Spain: +34 651 566 523. 300.00 euros per person as a first payment to confirm the place. Available seats are limited to 20 people, until next March 15, 2019. From that date, the confirmation of seats will depend on the availability in the hotels that we have booked for the circuit, and the price may vary. It will be done by the same means, before May 10, 2019. 400.00 euros per person as second payment. Full amount of 390.00 euros in case you want to hire the individual room supplement. Before July 5, 2019, forty-five days before departure, the final payment will be made for the amount that is missing, including air tickets, airport taxes, extra transfers, optional excursions or any other service not included. in the base price. Travelers who need a visa to enter the country, are responsible for having their documentation in order before starting the trip, for which they should inform themselves about the necessary requirements by personally contacting the Consulate closest to their place of residence. The passport must be valid for at least six months at the time of starting the trip.